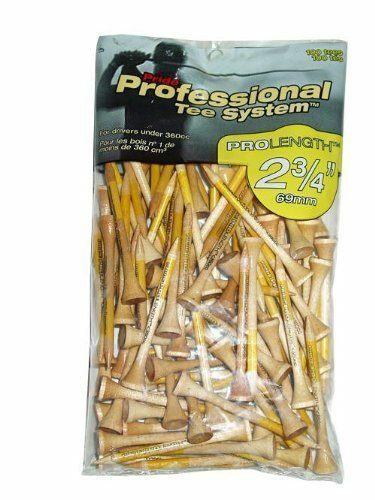 Pride Golf- PTS Tees 100 Ct. Just $3.50 Down From $10! You are here: Home / Great Deals / Amazon Deals / Pride Golf- PTS Tees 100 Ct. Just $3.50 Down From $10! My brother goes through golf tees like water through a sieve! Get these Pride Golf- PTS Tees 100 Ct. for Just $3.50 Down From $10!